Customer Feedback Trends: Avoid Requesting Reviews on Weekends! One of the best ways to build and strengthen business reputation is to proactively collect customer feedback and leverage the word-of-mouth power of consumer opinions. 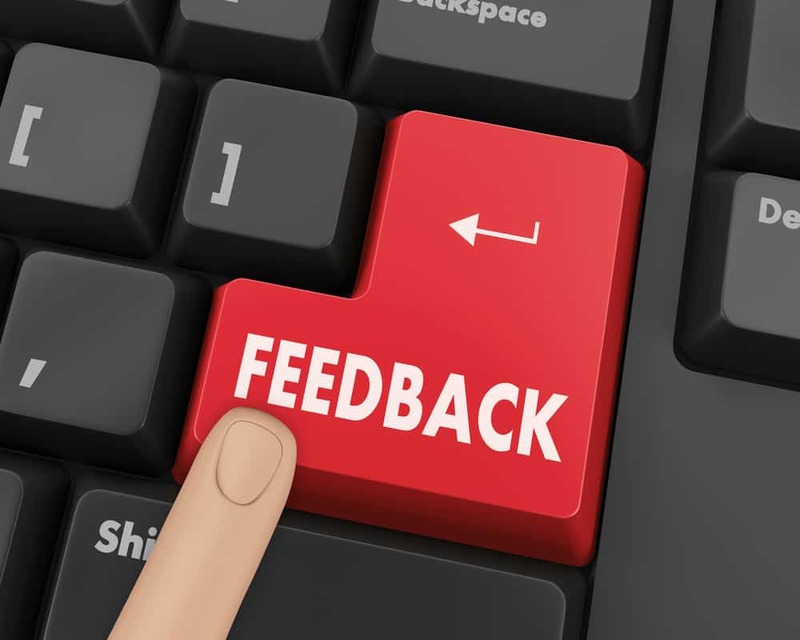 That’s the reason why, here at ReviewTrackers, we developed a tool that helps businesses request feedback and generate new reviews – in a way that’s faster, easier, and simpler than ever. The tool is based on the Net Promoter Score and System (NPS), which allows ReviewTrackers clients to gather five-star reviews from their happiest customers, while also gaining insights from those who didn’t necessarily have a positive customer experience. By asking one simple question – “How likely is it that you would recommend our company to a friend or colleague?” – a business can track specific groups of customers and get a better idea of the company’s performance through the eyes of customers. But when do you ask the question? Customer feedback better on weekdays or weekends? A recent Cars.com study reveals that, in the automotive industry, customers are most likely to leave feedback during office hours. In fact, approximately 52 percent of the reviews posted are left between 10 AM to 4 PM, during weekdays, with Tuesday, Wednesday, and Thursday as peak days for review writers. Industry experts are learning more and more about the review habits of consumers – and not just in the automotive industry. A new report by Netimperative provides insights into when it might be the best time to request customer feedback and reviews. According to the report, weekday purchases generate more positive customer feedback than items bought on weekends. Early morning and late at night represent the times when customers share the best reviews and the happiest, most positive feedback. If you’re hoping to boost the reputation and performance of your business, the Netimperative report should be able to guide you as you capitalize on the behavior of today’s consumers. And if you have any questions on how to continue building your reviews and reputation through customer experience management, give us a call or request a demo of ReviewTrackers. Enjoy exclusive access to our award-winning reputation software platform today! Wow. This is interesting. Time of day is one of the few things I can honestly say that I’ve never thought to take into consideration. I notice that most trolls tend to write their nasty garbage around 10 to midnight. But maybe 4pm is just when normal people write reasonable negative reviews. I know because I’ll either be out or just turning in for bed and all of the sudden something horrible gets posted. I’ve learned to stop checking in late at night so as to save their lovely comments til morning when I’m well-rested and more capable. People imagine that if they work online they get to stay up all night or live by whatever sort of schedule they like. But the truth is that no matter what you do a traditional work schedule has several advantages. You can post to your blog at 3 am but that’ll give it a pretty slow start which could ultimately effect how many people see it altogether. You’ve got to grow up sometime people; even if you work on the internet. I have to admit that I’ve never thought about this aspect 🙂 I’ll definitely give it a go at the next opportunity. lol That’s true! I hate when I need “just to finish something” at the end of the shift. I would leave a BAD review to anyone who asks me that when I want to go home. Busy and hardworking people don’t have time for this stuff – they’re too busy during their work hours and when they’re done, they don’t want to be bothered with writing a review for some company just because they bought some of their products. They are not writing reviews to describe what they bought, but to help other people make decisions. If you bought something that is broken or you have been insulted by the manager of the store, you should pot that, so others don’t experience the same. It is not always about you. This way you are helping people in decision making. I am sure that before buying anything important you would like to get some nice tips from somebody. Well, I don’t know about other countries, but where I come from, morning work shift ends at 4 PM. This might be the reason why there are less reviews at that particular time, or even why they are of lesser quality.